Dr Sheena Sullivan holds a PhD in Epidemiology from the University of California, Los Angeles. Sheena was appointed in 2011 as the inaugural epidemiologist for the World Health Organization (WHO) Collaborating Centre for Reference and Research on Influenza. 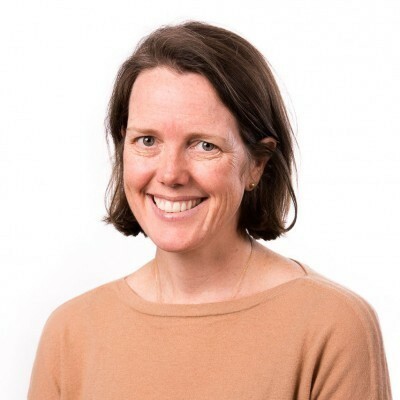 She works with sentinel surveillance programs in Australia to estimate vaccine effectiveness and safety, and to understand the validity of the methods used to conduct these studies. She also works closely with national and regional partners including the WHO and the Centers for Disease Control and Prevention in the US to improve influenza surveillance. She holds adjunct appointments at the University of Melbourne and the University of California, Los Angeles. She is also a proxy member of the National Influenza Surveillance Committee. Sheena has 20 years’ research experience and has been engaged in a range of studies – from estimating the prevalence of blood-borne genetic disorders in Cambodia, to understanding the risk of cancer among people with intellectual disabilities in Australia, to evaluating the effectiveness of needle exchange programs in southern China. She has co-authored over 60 publications in peer-reviewed journals and books, and co-edited a book on public health in South and South East Asia. Sheena has been awarded two project grants, two travel grants and six scholarships. She has supervised seven Master’s students and one PhD student. Influenza vaccines are updated twice annually to keep pace with the antigenic drift of the virus. However, the production time of these vaccines is five to six months, leaving insufficient time to test vaccine efficacy. Sheena’s group works with the Australian Sentinel Practices Research Network (ASPREN), the sentinel practices network of WA (SPNWA) and the Victorian Sentinel Practices Influenza Network (VicSPIN at VIDRL) to provide annual estimates of influenza vaccine effectiveness for Australia. The group also works with collaborators around the world to compile these data into a report for use in vaccine strain selection. In recent years, there has been a dramatic increase in the number of countries reporting annual influenza vaccine effectiveness estimates using routine surveillance data. In these “test-negative” studies, patients presenting with influenza-like illness are recruited into the surveillance program, swabbed and tested for influenza. Vaccination status is recorded and those testing positive are compared with those testing negative to obtain an influenza vaccine effectiveness estimate. Sheena’s group has been working with colleagues within Australia and abroad to better understand the unique methodological issues associated with this study design. Many hospitals have a policy for achieving high influenza vaccination coverage among their staff. However, the long-term effects of influenza vaccination are not well understood. Some evidence suggests that the antibody response to vaccination attenuates with repeated vaccination, and this finding is corroborated by epidemiological studies, which have indicated that the vaccine’s effectiveness is reduced among people who have been vaccinated repeatedly. Sheena’s group is undertaking studies at two Melbourne hospitals to estimate whether serological responses vary according to vaccination experience. Sheena’s epidemiology group at the WHO Collaborating Centre for Reference and Research on Influenza undertakes research into understanding influenza vaccine effectiveness and the validity of the methods used to estimate it. The group also provides technical assistance to partners in the Western Pacific Region of the WHO.